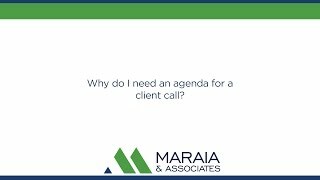 Why do I need an agenda for a client call? 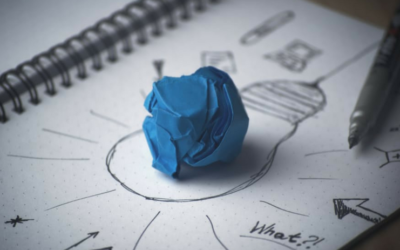 Why is client feedback important for business development? One of the most important skills in a rainmaking toolbox is getting client feedback. If you\'re not constantly asking feedback from almost all of your clients, then there\'s no way that you can develop a strategy that has any meaning. What we suggest is that there\'s two questions that you can ask, when you\'re asking a client for feedback. Why is preparation for a meeting important? One of the reasons why it\'s important to prepare for meetings is you don\'t want to waste the time of your clients and your prospective clients. I\'ve actually had clients of mine go into meetings with the general counsel or with the CEO or the CFO and after this executive found out that the client, my client, had not done their homework, the meeting ended because that person didn\'t want to be wasting their time. Do your clients a favor and do your practice a favor, and make sure that before you head off to any or all meetings that you have, that you\'ve done your homework and you understand a lot about the client\'s personal situation and his business or her business. If you don\'t say no to certain opportunities that pass by then you really don\'t have a strategy and what we find is that those rain makers who have a very clear idea of who their ideal client is and where they want to go with their business or their practice are much more likely to be effective in generating the business they want and they get a lot of yeses of the kind that they want rather than trying to take the kind of business that they really don\'t have their heart in. Probably one of the most common things that we\'ve done when we are coaching people is to encourage them to have an agenda of some kind before they pick up the phone and make a call or before they go to a meeting. The reasons for that are probably pretty obvious. The reality is, you can have a very good meeting or even a good meeting when you don\'t prepare and you don\'t have an agenda, but as my clients have said to me many times, they usually have a great meeting when they actually have an agenda and do their homework.